1928 Seattle craftsmanship, updated with integrity in this Phinney Ridge home that is privately perched above the street. Vintage meets remodel with wood double hung windows, leaded glass detail, fir & oak floors, a wood fireplace with a ceramic hearth, formal dining room, and a spacious farmhouse kitchen with an extended breakfast nook out toward the back garden. A full bathroom remodel with radiant floor and a jetted soaking tub. A peaceful back yard with apple and pear trees, and a full basement with room for a shop and an attached garage. Updated wiring + new electric panel and a seismic retrofit. 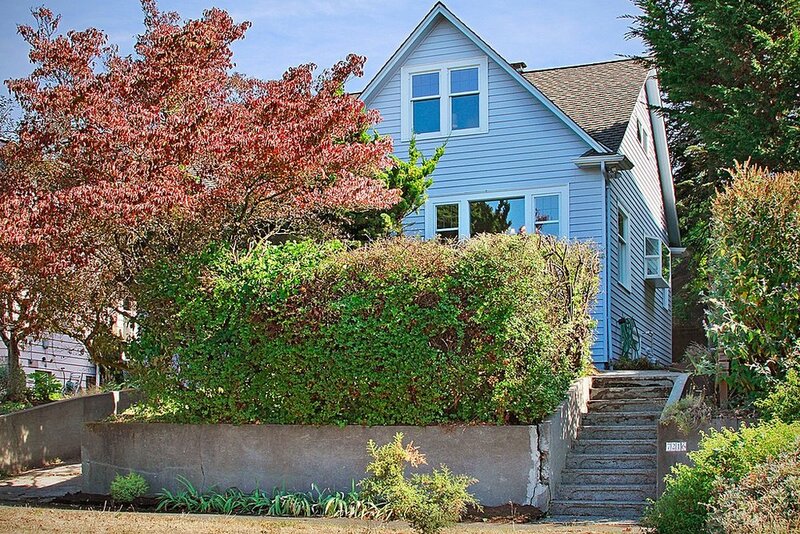 Blocks away from hangouts and retail in Phinney Ridge, Ballard or Greenlake. I am open all weekend- stop by to check out this lovely home!